I can still hear my mother’s voice in my head as I was preparing to go out on my first date, “Remember, you never get a second chance to make a first impression”. Raise your hand if you’ve had someone say this to you before. It’s pretty clear that this saying applies to social situations but it’s also very true when it comes to your chiropractic website design. Studies show that most of the visitors to your site will leave after only 10-20 seconds. Seriously?! That’s right, in about the amount of time it took to read this paragraph a visitor left. I think you’d agree that grabbing your users attention and providing them with content that is worthy of sticking around on your site is of utmost importance. Furthermore, once your webpage loads, a user will form an opinion of the site in .05 seconds. Is your chiropractic website sending the right message and making the right first impression in those precious milliseconds? Are your visitors staying around long enough to know what’s special about your practice? Do they know what makes you unique? What about the services you offer? Does your site look current or is it noticeably past its expiration date? Is your site working for you or is it simply hanging around collecting dust? Either way, here is a list of eight (8) reasons that your chiropractic practice website is in need of a redesign. We’ve all experienced the frustration of browsing a website that is not mobile-friendly. Even though this experience is common and true, many chiropractors still have a website that is not responsive or optimized to be mobile-friendly for their users. So why is mobile important? The landscape of the internet changes daily as the devices used to browse the web become more diverse. Currently, more than 60% of all website traffic comes from mobile devices globally and more than 58% of all American adults own a smartphone. There are actually more mobile phones on earth than there are people. Google has recommended that a mobile web design approach is the best approach. According to Google, responsive websites will perform much better in search engine rankings because they provide a better user experience than their counterparts whose websites are not mobile-friendly. And now mobile phones have a separate Google search algorithm as well so sites could have different rankings on desktop than they do on mobile. 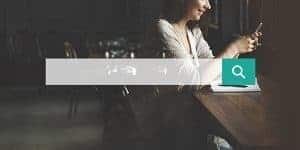 The short of it is that if you think search engine optimization (SEO) is important for your chiropractic website, then your site better be responsive. You website should simply look good at any screen size on any device. This is pretty obvious with desktops, tablets and the current smartphones but look ahead to the coming devices such as smart watches, other wearables (Internet of Things) and whatever is next that we don’t even know about. A responsive site will most likely display correctly no matter the device. It’s hard to browse a website when you have to pinch and zoom and scroll sideways to see what doesn’t fit on the screen of your mobile device. Imagine a potential new patient trying to find out more about your practice or even find your location but not being able to because your site isn’t responsive. They’ll likely use the chiropractor down the block. A better user experience is not only good design, it’s good business. These reasons and statistics are hopefully eye-opening to you and inspire you to redesign your chiropractic website so that it is optimized for your mobile users. 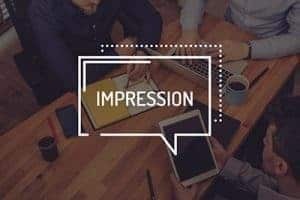 The first impression that a potential patient will have of your brand could very well be from a mobile device and as we know from our previously mentioned dating analogy, first impressions can make or break a relationship. We know that you care deeply for your patients and it’s our desire that you would care to deliver the best user experience to them as well, no matter what device they are using. A beautiful, professionally designed, conversion-focused chiropractic website is critical to the overall success of your website. If the mobile design isn’t as strong as it should be on your website, it’s a strong indication that you are definitely in need of a chiropractic website design update. Here’s a free tool to determine if your site is mobile friendly. Simply plug in your URL and you will be graded on your responsiveness and mobile optimization. If your site doesn’t score high, we’d be glad to help you achieve the mobile-friendly site you want and deserve. A very prevalent problem with many sites that show they are in need of a redesign is painfully long load times. How often have you encountered a site that doesn’t load, so you hit refresh and then leave the site altogether? Most users hit the back button right away or even just navigate to a different site (most likely that of your competitor). It’s even recognized that Google is now taking load times and bounce rates of websites into considerations when ranking websites. Long load times lead to lower search results and a negative user experience for your visitors. According to Kissmetrics , “73% of mobile internet users say that they’ve encountered a website that was too slow to load” and additional research from Webbymonks shows that 40% of all internet users will abandon a website with load times above 3 seconds. I know that you are now pulling up your site to see how fast it loads, amiright? It’s true, I’m telling you that almost half of your site visitors will be gone before they’ve even had a chance to read what it is that you offer. So what is it that makes your site load slowly? 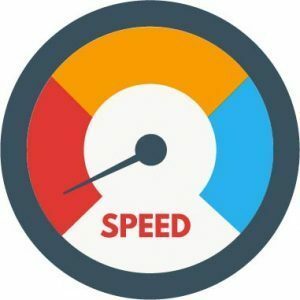 It could be many things such as large images, slow scripts or even being hosted on a server that isn’t optimized for speed. These are issues that can all be fixed on your own…if you happen to be a web developer. And if you happen to have the time to do them. But it may mean that your site is out-of-date and needs a chiropractic website redesign to be sure that your website is providing your visitors the best experience. User experience is increasingly more important every day. The visitors to your website will certainly want to know where they are on your website and will want to quickly and easily be able to decide where they need to go next. Your navigation is a lifeline to your users and helps them to be grounded and feel comfortable. It goes without saying that your website navigation is of utmost importance and should be a major focus of your chiropractic website design. Therefore, be certain it is clearly designed. “After reaching a company’s website via a referral site, 50% of visitors will use the navigation bar to orient themselves” and “…36% of visitors will click on the company’s logo to reach the homepage” according to a Website Usability report by KobeMarketing. A poorly designed user experience could be confusing to your users and will likely cause them to abandon your website. The good news is there are things that can be done to fix the most common website design navigation issues (as indicated in this Kissmetrics article) such as avoiding difficult to use dropdown menus or hidden navigation systems. It’s important to avoid these types of mistakes to ensure that your users always have access to your homepage and other site links. There are some good solutions that can be implemented such as using a “sticky” navigation so that it is always present even when the user reaches the bottom of your site pages. (A great example of this type of navigation can be found on this very site at the top of the page). Poorly designed or older sites may not be optimized with this type of header or navigation so we would strongly recommend a site redesign which can lead to great benefits and increased usability. A major area on websites that is very surprisingly overlooked by many businesses is keeping content up-to-date. It seems like a no-brainer but sadly, many businesses do not treat their website like a living extension of their company and let their site grow stale and begin collecting dust. I’m sure you’ve seen websites that have the annoying “Coming Soon” message on one of the site pages. Or worse, only has one blog post that announces that there will be more posts and that the user should check back soon. It’s very important to have a content strategy in place to ensure your website is properly positioned for optimal growth and performance. 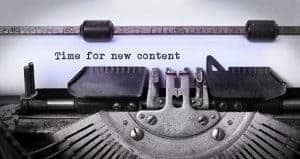 If your site is an important part of your practice and is a part of your strategy for bringing in new patients, then you should be treating content importantly – content is king right!? Is your site an active employee for your practice or is it simply an afterthought? How often do you update your blog? If you have a site that is not updated it’s almost a sign to your customers that you aren’t paying attention and if you aren’t then why should your users? If you don’t have a blog on your website, it may be time to upgrade your chiropractic website design. Google defines a bounce as someone visiting your website who does not interact with a single page element. The more bounces you have, the higher your bounce rate. Let’s imagine that a user arrives at your homepage, maybe scrolls down the page for several seconds but then leaves without clicking on anything, they would be a bounce. Bounce rates are sometimes a tricky thing to get your head around and it can require some analysis to understand what’s happening. An example would be if you received a large amount of traffic to your contact page but nobody is clicking anything, they are simply acquiring your phone number to call you and then leaving the site. You’d have a high bounce rate for that page but that would be a bad indication of whether that page is working well or not as the user was getting exactly what they were looking for. As a general rule of thumb, bounce rates between 25 – 40% are excellent, 41 – 55% are average and 56 – 70% is higher than average. (Source: GoRocketFuel). If you feel that your bounce rates are higher than you’d like, it is probably a good indicator that your website is in need of a redesign to be sure your users are interacting with your page in the right manner. We have some tools that we use that can help pull back the curtain to discover why people are leaving your page and how to redesign the experience to keep them on your site longer. One of the most noticeable and often mentioned reason that a site redesign is requested is that a site is out-of-date visually or it isn’t representative of the company or organization. Remember the analogy of the first date above? It’s already clear that you don’t get a second chance to make that first impression. We also know that most people judge a book by it’s cover (and do so in a couple seconds). If your website is neglected, looks out-of-date or simply just doesn’t look good then the site will not work well for you as it won’t attract users and build their trust. There was a study that Adobe conducted that stated that “38% of people will stop engaging with a website if the content/layout is unattractive“. That’s a huge amount of potential customers that will likely leave your site – regardless of the services you provide or even how good you are at them – all because you have an ugly or out-of-date website. It’s imperative that your website design is a reflection of your practice and your brand and that it is sending the right message. Don’t let a poorly designed or outdated site turn users away thereby affecting the bottomline of your practice. Take the initiative to ensure that your site design is a reflection of how great your practice is with a new chiropractic website design. It seems to go without saying but there are actually sites these days that are not optimized for search. There are many website developers that may say they provide SEO (Search Engine Optimization) services. However, the truth is that there are so many variables and levels involved with SEO and it is not a one-size-fits-all type of practice. You should work with a team that understands the nuances inherent in the chiropractic world to ensure that your SEO strategy is sound and your site is geared to getting your practice found. A rework of your chiropractic website design can help properly position your site to reap the rewards of search. There are many things that can be done to help improve your site from a search standpoint beginning with site architecture. Utilizing custom page urls, appropriate coding and markup with H1, H2, H3 tags, Page Titles, Image Alt Tags and more are the essential items that should be included. A modern Content Management System (CMS) can also help aid in making sure the website is properly optimized for search. Social Media has now been around for quite awhile and it’s abundantly clear that it’s not going anywhere. People are using it much more frequently, not just for connecting with friends, but even for conducting business. Social should be thought of as an extension of your brand and should definitely be represented through your website design. If your website doesn’t feature social media in some way, you are very likely behind the times. And likely behind your competition! At a minimum, your site should have links to your social profiles. There are many other features that you should also include, such as social sharing tools to make it easy for your users to share, pin or tweet your content should they find it compelling. A chiropractic website design with incorporation of social features can go a long way to making your site more usable for your users. Additionally, it can make it easier to connect with you socially to increase the spread of your practice through word-of-mouth via social. So what’s next? Is it time for a new chiropractic website design? How are you feeling about your chiropractic website design? Did any of these items feel like we were describing your website? Many sites we encounter have several of these things and are desperately in need of an update. Is your site guilty of even one of these things? If you felt like we were describing your site then it’s really clear that you need a chiropractic website design redo. And to be honest, these are not the only reasons why your site may need a redesign. 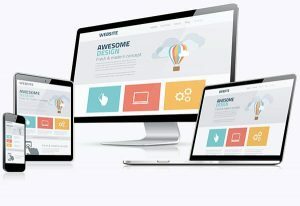 However, if your site has any of these issues then you should connect with us to determine if your practice website is in need of a full redesign. Still not sure? Let’s talk! We would love to connect with you to determine how we can help and get started down the right path for success.